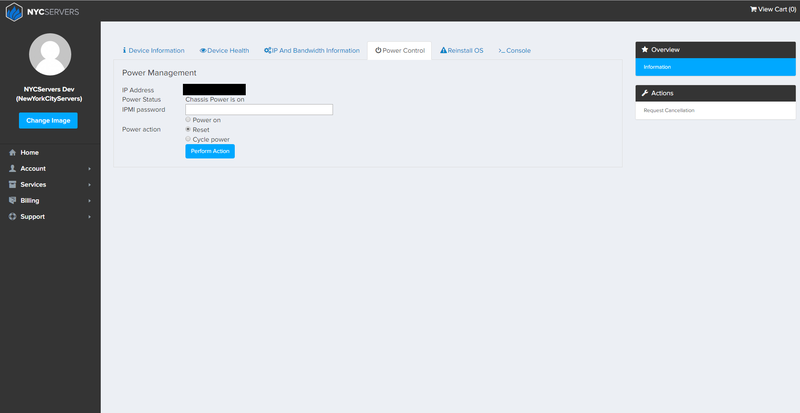 We are happy to announce that we’ve updated our custom control panel for dedicated server clients. A brief overview of the new design are features can be found below. 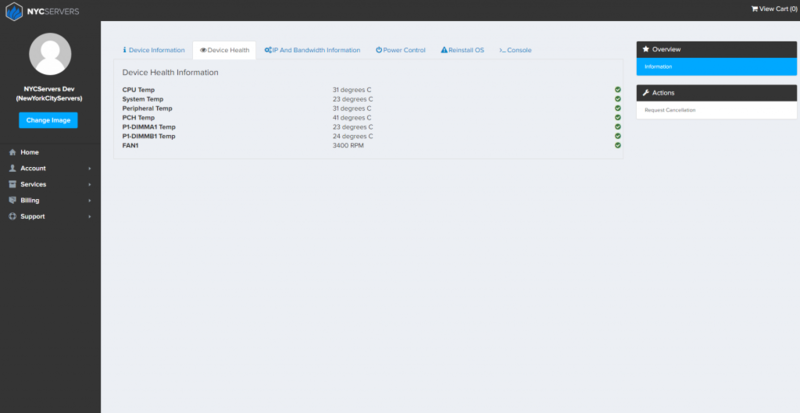 On the first page of the control panel you will be shown a brief overview of your server. This includes: hostname, main IP address, MAC address, hardware information, and datacenter information. In the hardware information section you will be able to see detailed hardware information for your server, while in the datacenter section you will be able to see where your servers is located in our datacenter. In the next tab you will be able to view details regarding your server’s health. This includes both temperature and fan speed. The check mark to the right indicate that the reading is normal and your server is in good health. The next tab shows a detailed break down of your IP address as well as any additional IP addresses you have with you server. 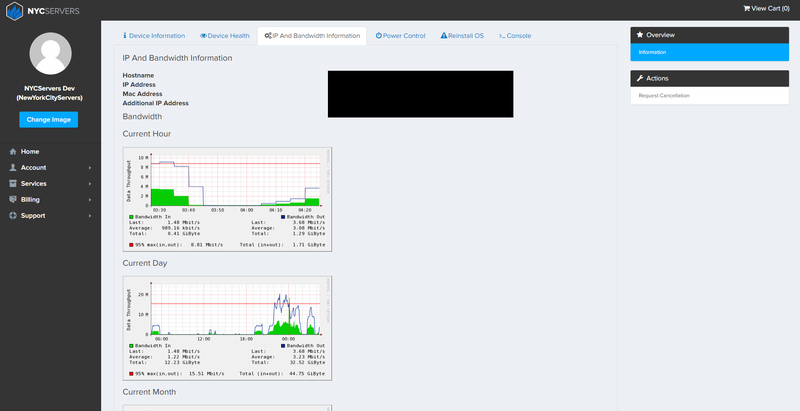 Underneath the IP address information you will be able to view the bandwidth graphs for the public port on your server. You will be able to view the bandwidth break down for your hourly, daily, monthly, and previous month’s usage. In the following tab you will be able to view and control your server’s power status. Customers are able to control the power to their server at anytime regardless of the status of the operating system installed on their server. You will be able to reinstall the operating system on your server automatically without having to contact support or doing it manually. There are over 20 options to choose from including Clonezilla, Memtest, Sysrcd, and Ultimate Boot CD. We do not limit the number of reinstalls you can use on your server. On the final tab you will be able to launch the console (KVM) for your server. After entering your IPMI password and clicking launch console a JAVA file will be downloaded directly on your PC. After opening the file you will be connected to your server. In addition you will be able to mount virtual media using the console feature. By renting a dedicated server, you are renting your own super computer to run your terminals, EAs, ect. You will be the only person who has access to the server. The server’s resources will be dedicated solely to you. Because your server will not be shared with anyone else, this guarantees the best performance for your trading. In addition this also improves stability greatly. We have had customers who’s servers have been online and running for three years straight without any downtime! Our servers are built to run 24x7x365. We only use powerful high end enterprise grade server equipment. You can rest easy knowing that your trading is being done from a high performance stable environment. Lower latency – By putting your dedicated server in the same datacenter or same region as your broker you will be able to trade with only 1-2ms of latency. This especially comes in handy when you are from another region of the world. For example, if you’re from Hong Kong and want to trade with a broker in New York City you would normally see latency of up to 300ms. However, by using a dedicated server that’s very close to your broker you can enjoy 1-2ms of latency no matter where you’re located in the world. 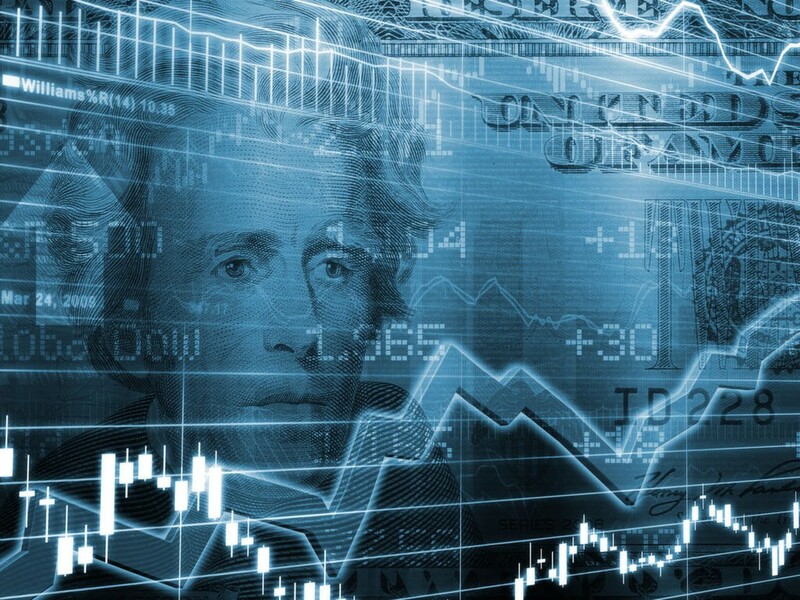 We are typically 0.5ms – 2ms away from all brokers in the New York City / New Jersey area. To view a list of latency tests for brokers in our area click here. High Uptime – If you pick the correct provider, you should expect your server to have anywhere from 99.99% to 100% uptime. The better uptime your server has means more time you can spend trading, which results in more profit for you! We guarantee 100% uptime for all dedicated servers. To view the rest of our service level agreement, click here. Enterprise Server Hardware – Unlike your typical computer, dedicated servers are built using today’s best enterprise grade hardware. Server hardware is made to be running in a nonstop high demanding environment. The same can not be said about desktop systems. We use enterprise grade hardware for all of our servers. Expert Support – If you run into an issue with your server or trading software you shouldn’t have to spend hours Googling for a solution to your problem. When renting a dedicated server from the right provider, all you should have to do is contact their support department in the event of a problem and let them do the rest. 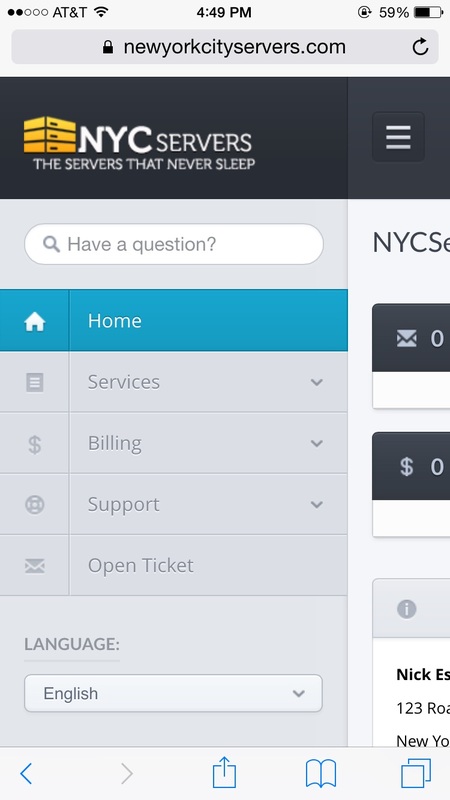 We offer 24x7x365 support via email, support ticket, live chat, and telephone. To learn more about how to contact us, click here. NewYorkCityServers offers enterprise level dedicated servers for Forex traders and brokers. Because we’re located directly in New York City, we’re able to reach surrounding brokers within 0.5ms – 2ms. We have dedicated server trading solutions starting at just $100 per month! To learn more about our dedicated server plans or request a free consultation for one of our experts contact us by clicking here. Introducing The New NYCServers Client Area! 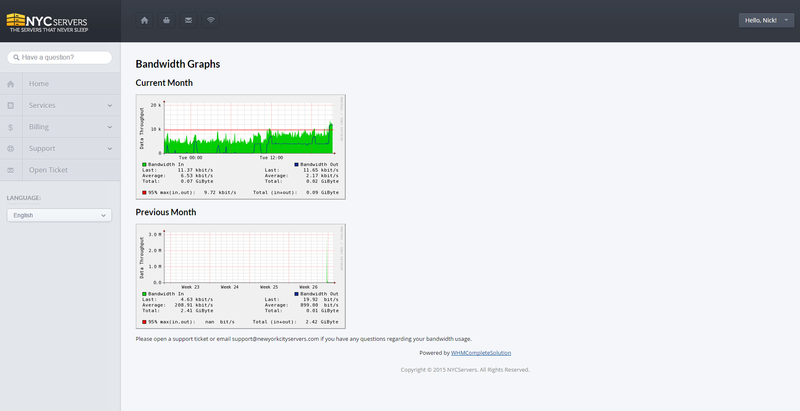 Customers can now view bandwidth graphs for their server(s) right from the control panel. 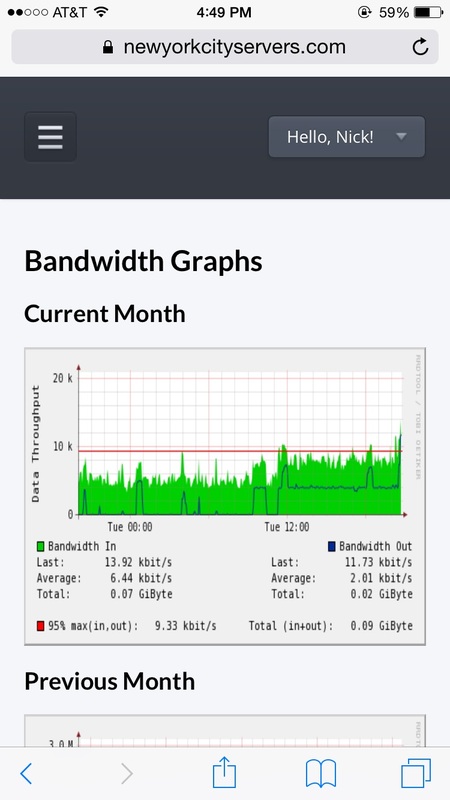 Bandwidth graphs for the current and previous months are displayed. 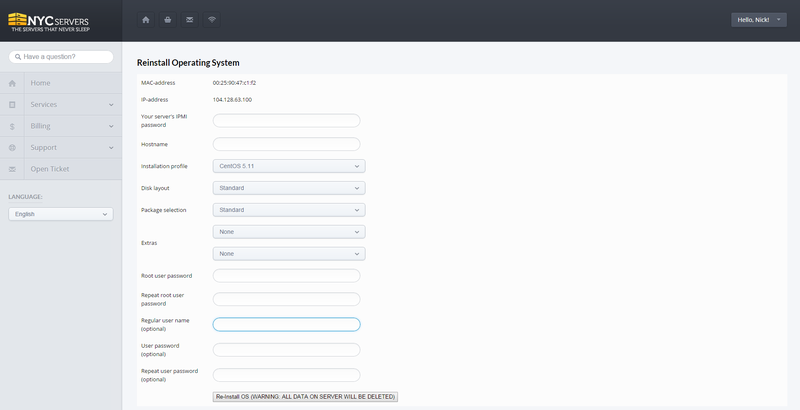 Customers are now able to reinstall their server’s operating system on the fly right from their customer panel. There are currently 20+ operating systems pre-loaded into our system, however please feel free to request a custom operating system if you do not see the one you’d like in our system. All reinstalls are completed automatically and typically only take about 7 minutes to be completed. Best of all, there aren’t any reinstall limits! You can reinstall the operating system on your server as many times as you’d like without any additional charges. This feature does require you to enter your server’s IPMI password before you can begin the operating system reinstall. We added this security feature so that if for any reason someone else accesses your NYCServers account they can not reinstall your server. 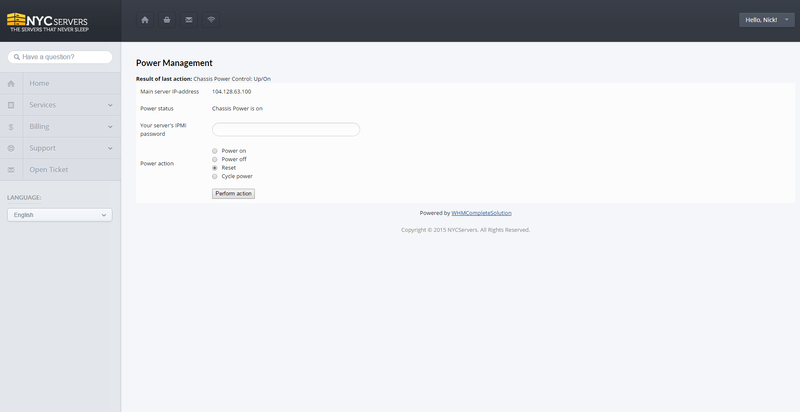 Customers can now control their server’s power directly from the customer panel. They can power off, power on, reset, and power cycle their server at anytime. 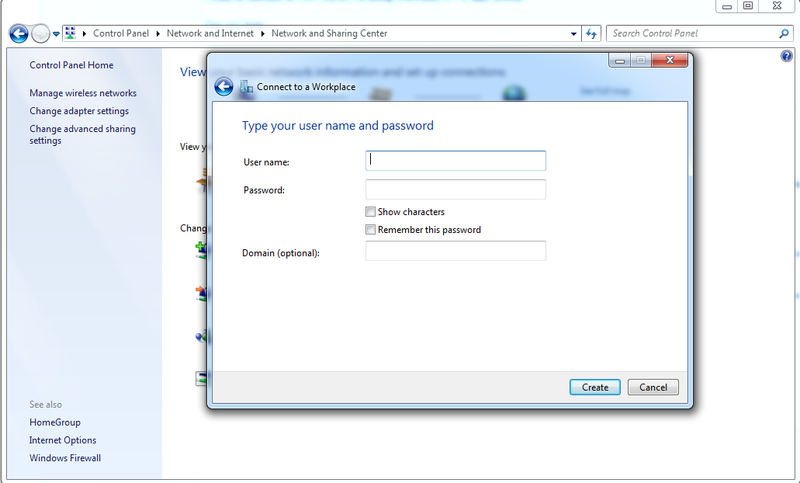 This feature also requires you to enter your server’s IPMI password before you can control your server’s power status. We added this security feature so that if for any reason someone else accesses your NYCServers account they can effect your server’s power. 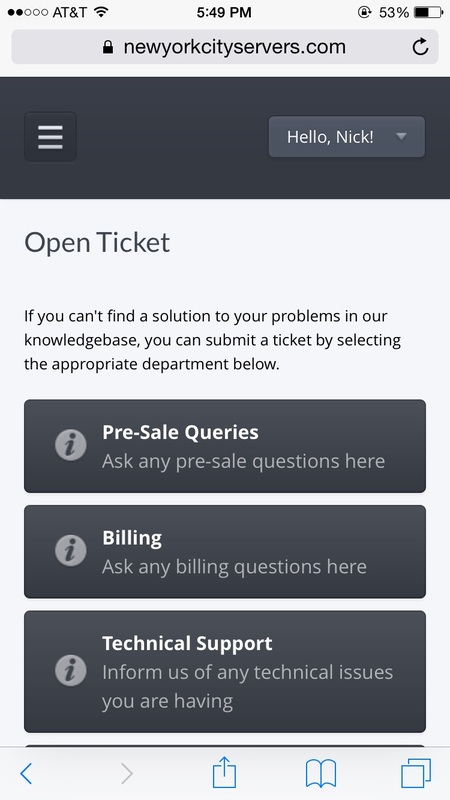 The new customer area is also mobile friendly. You can do everything that you would normally do from your computer, right from your mobile phone or tablet! 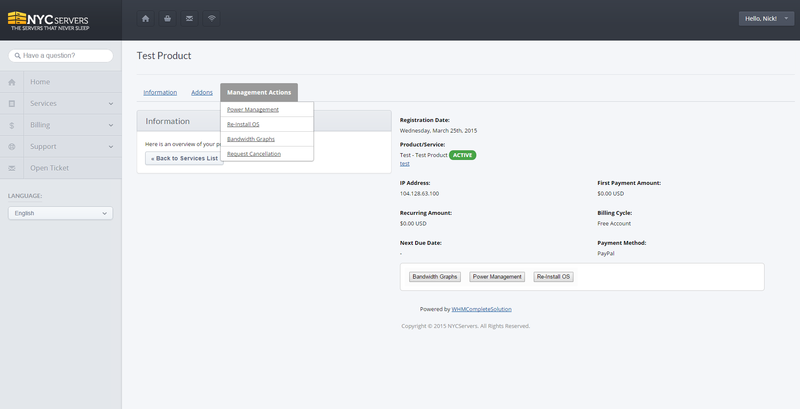 In addition we are also working on developing more features for the customer area. If you have any suggestions or comments, please feel free to contact us. We appreciate your feedback. 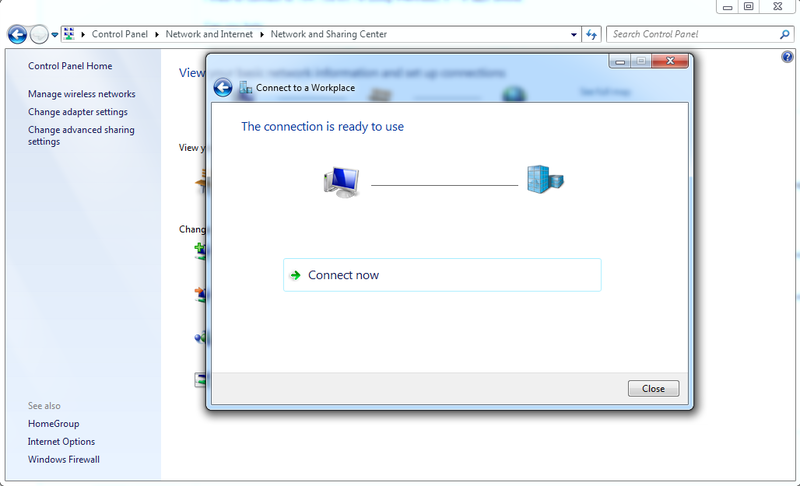 Access your the “Network and Sharing Center” inside of your Windows control panel. 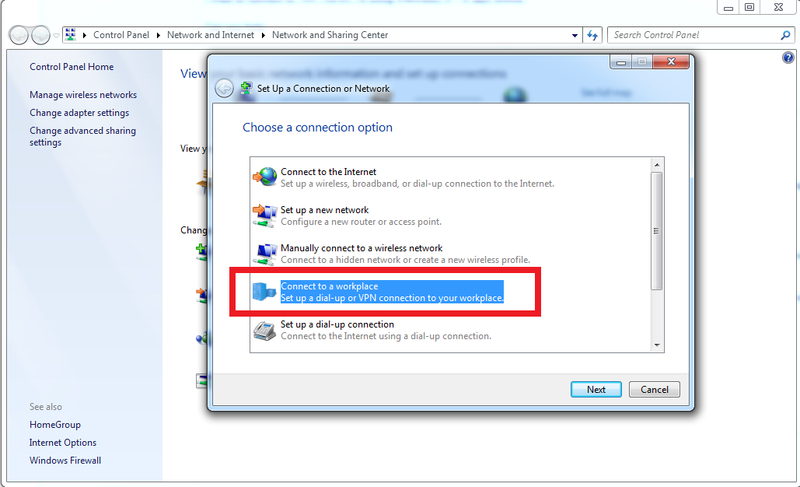 The most common way to find this page would be: control panel > Network and Internet > Network and Sharing Center. 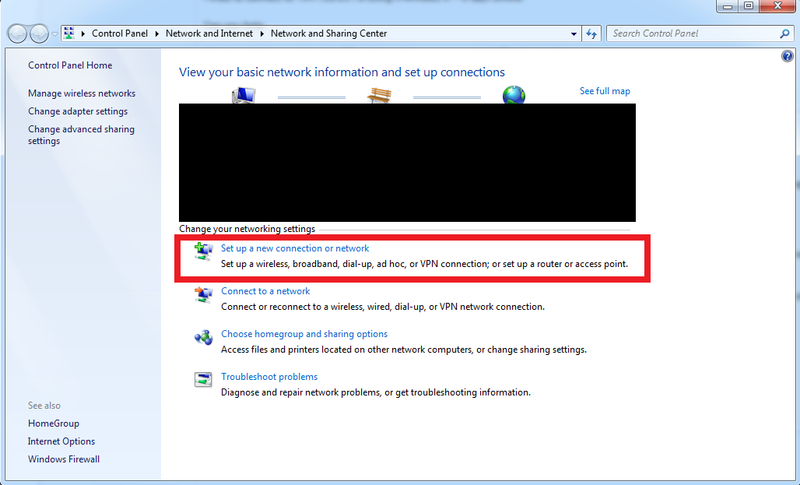 Once you have accessed this page, click “Setup a new connection or network” as shown above in the screenshot. You will see a new window open up containing a list of several options to choose from. Select “Connect to a work place” and click next. 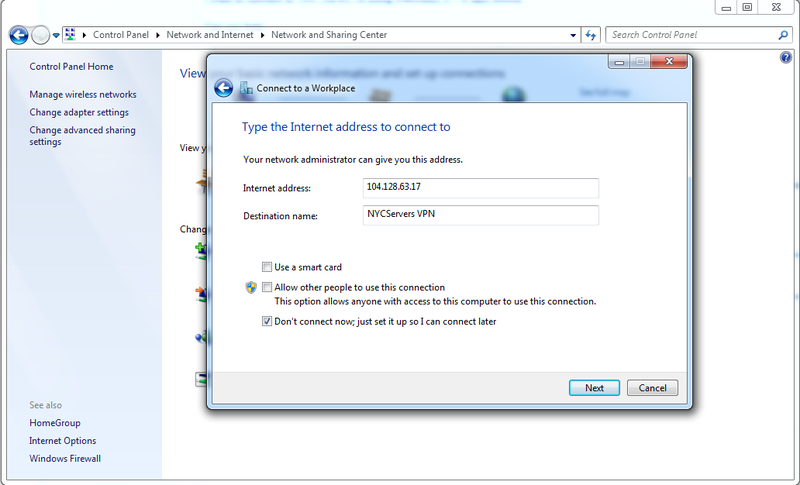 On this page enter the VPN IP address (104.128.63.17) and enter a name you would like to use for the VPN. 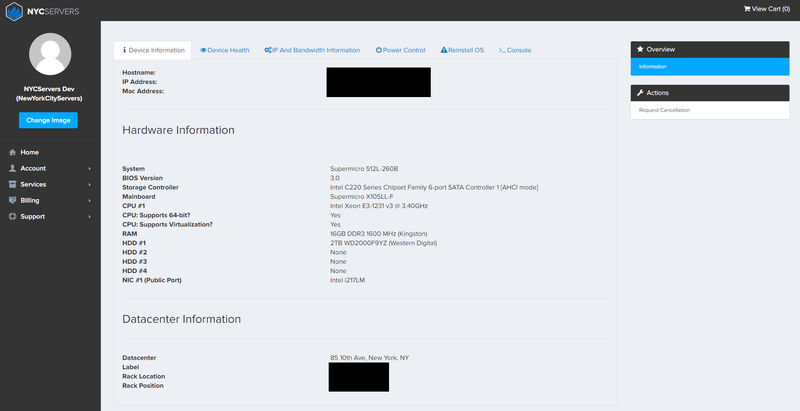 In this example we use “NYCServers VPN” however may use any name. Make sure you check “Don’t connect now” and click “Next”. Click “Connect now”. 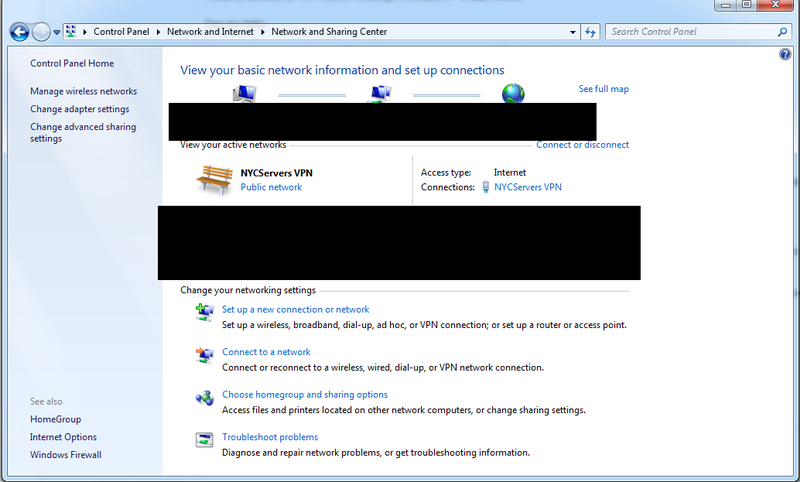 If everything goes smoothly, your computer will be registered on the VPN and you will see a “You are connected” message as shown above”. If you receive any error messages please open a support ticket and we will be more than happy to assist. Once connected you may now close out this window. 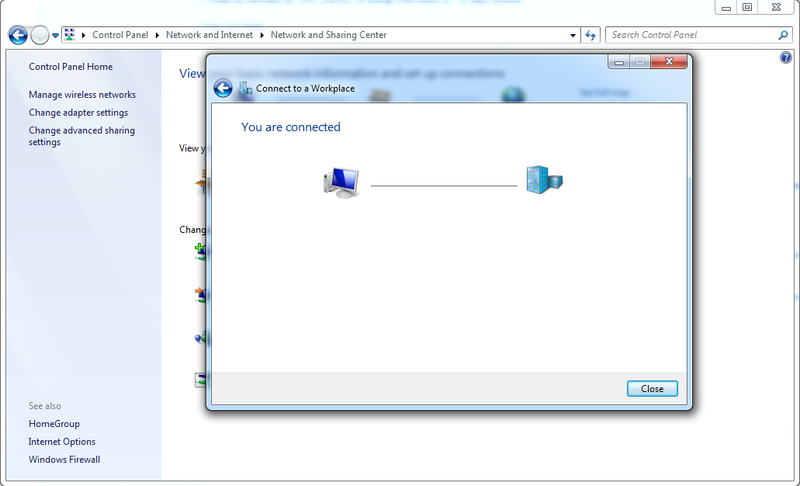 Once the window above has been closed out you should be brought back to the Network and Sharing Center. However this time you should notice that above your normal internet connection you should see “NYCServers VPN” or the name you’ve given the VPN in the tutorial above. 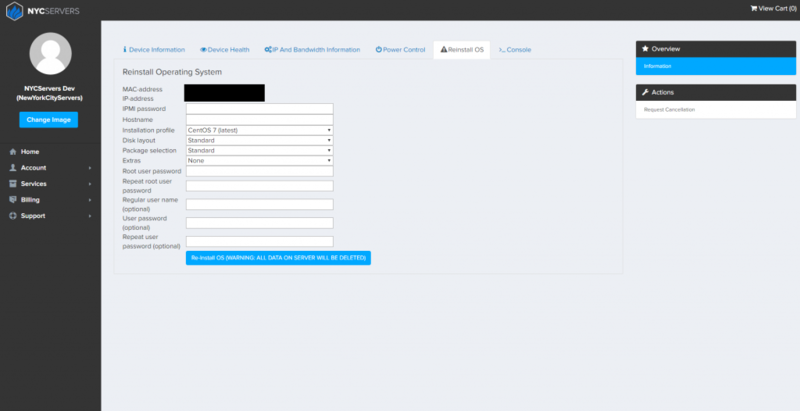 This means that you are successfully connected to the VPN and you may now access your IPMI/KVM. 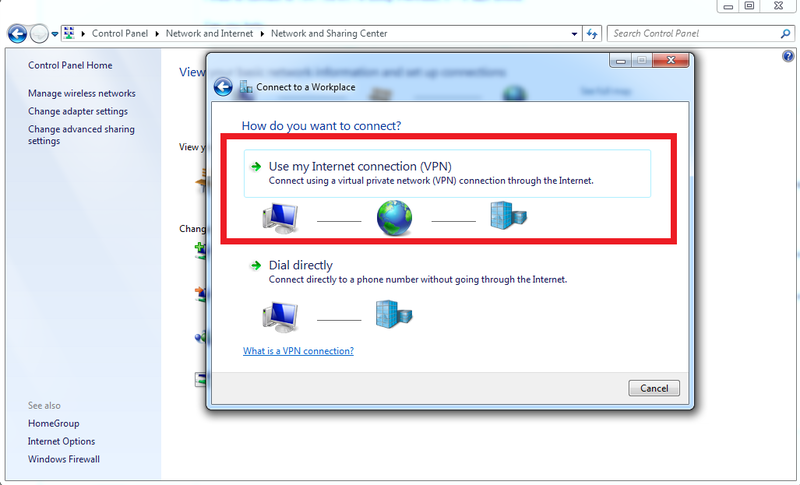 It is suggested that you only use this VPN to access your server’s IPMI/KVM. Please note that while this VPN is enabled you will not be able to access our website. Click the wifi bar/network icon in your bottom right tool bar. 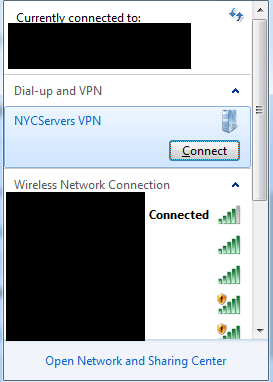 Under the “Dial-up and VPN” options you will see the NYCServers VPN. Click it once and click “Disconnect”. After a few seconds you will be disconnected from the VPN and will return back to your normal internet connections. Once the initial setup of the VPN has been completed, connecting to it again is easy. First click the wifi bar/network icon in your bottom right tool bar. You should see a window similar to the one above. 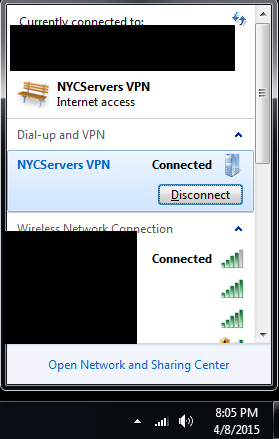 Under “Dial-up and VPN” click “NYCServers VPN” once and then click “connect”. 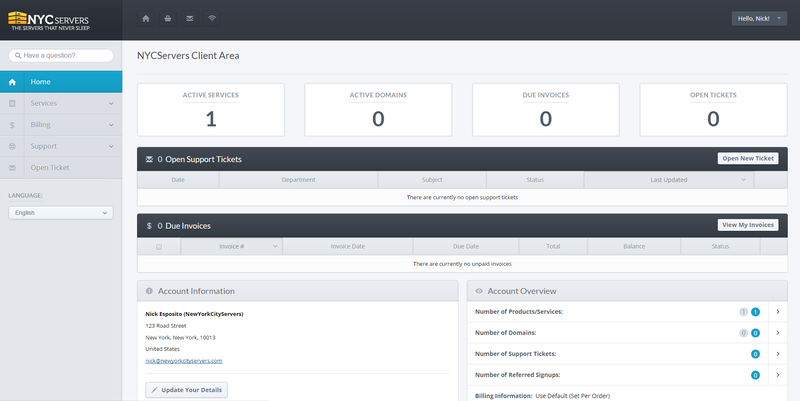 If you have any trouble connecting to the VPN please feel free to open a support ticket from within the client panel and we will be more than happy to assist you. Founded in 2008, Yareah is an international magazine that posts articles about arts, books, culture, and entertainment. Yareah has published galleries and museums from all over the world, including: United States, United Kingdom, Ireland, France, Italy, and more. More than 400 art galleries and 250 authors have been published on Yareah Magazine. Yareah is proud to have over 350,000 links and a million visitors. 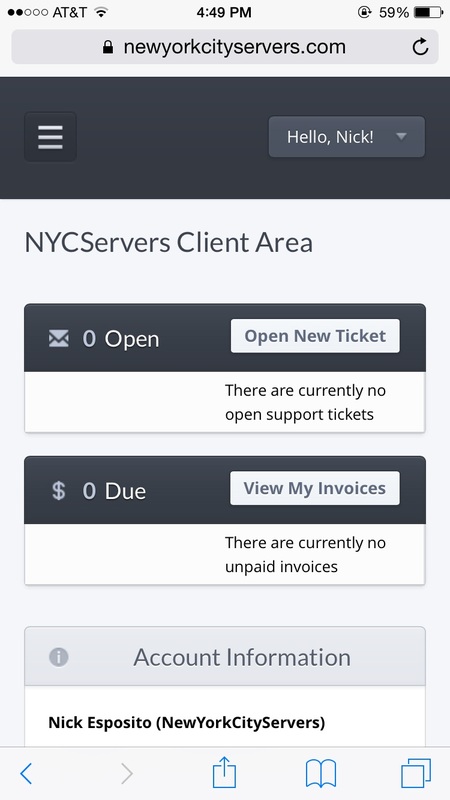 Being unhappy with their previous server’s performance, Yareah began searching for other web hosting providers in New York City. NYCServers provided a bare metal server solution for Yareah magazine backed by our 24x7x365 emergency support, 60 minutes or less hardware replacement guarantee, and 100% uptime guarantee on power, cooling, and network. Since moving to NYCServers, Yareah has reported better server performance. Not only will the bare metal server solution provide Yareah with a higher uptime, it will also allow for more concurrent connections to their website. Please be advised that the National Weather Service has issued a blizzard warning for the Greater New York Metro area, beginning on Monday afternoon, January 26, 2015 and lasting through Tuesday, January 27, 2015. The snowfall will be accompanied by high winds of 30-40mph with gusts in excess of 55mph. Datacenter technicians will remain on-site throughout the weather event. The datacenter’s generators, UPSes, and transfer switches have been maintained and tested within the past 60 days are expected to function properly should a utility power failure occur. Fuel supplies are confirmed to be able to sustain at minimum of 3 days of uptime before refueling and maintenance. Fuel suppliers are available and on-stand by. Building engineers will be on site and will be called to action ASAP if a utility failure occurs. All updates will be posted here as well as sent to customers. We understand the need for ultra low latency to brokers in the NYC area. Because our datacenter is located directly in NYC we can provide lower latency than many other providers. Below is a latency test to ProfiForex from our datacenter. PING 74.201.192.242 (74.201.192.242) 56(84) bytes of data. Want to learn more about ordering a dedicated server? Click here. Below is a latency test to Benchmark Group from our datacenter. PING 8.36.73.131 (8.36.73.131) 56(84) bytes of data. Below is a latency test to Currenex from our datacenter. PING 206.65.191.61 (206.65.191.61) 56(84) bytes of data.